This was quite possibly one of the longest months ever. Sure, we only had three extra days from February, but it felt like an eternity. Perhaps, because I didn't start and end the month in a vacation like February. Nor did I celebrate my birthday this month, but still. This was a long month. IT wasn't all bad, of course. Just a lot of long and tiring days. Still, there's a lot to be thankful for. As an officemate said, let's always foster an attitude of gratitude. Okay then. Though it was difficult, March had me saying goodbye to my OBFF (office BFF), Risa who's off to focus on her review for masters. 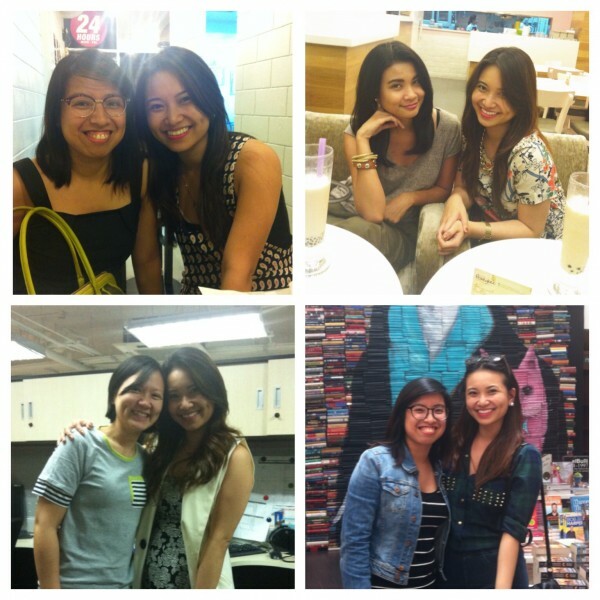 Risa and I were batch mates in high school, went to the same university but only really bonded at work. She's one of the most hard working and intelligent people I know and ultra easy to work with. I always knew she had my back no matter how much I screwed up at work and it's still not settling in that she no longer sits across from me at the office. She's got a crazy way about her, so funny when she tells stories, so in touch with all her feelings and just so easy to be around. I'll miss her terribly but I'm so happy she's embarking on this new adventure. It's going to take a while for me to get used to not having her around. but I'm so elated she's following her dreams. We threw her a pretty great going away party (and our President paid the bill!!!) so it was definitely a night to remember. Plus, it doesn't hurt I found myself in a very wonderful side of the table. So many goodbyes this March. To distract myself from the sadness of Risa's leaving, I went out a bit with friends. 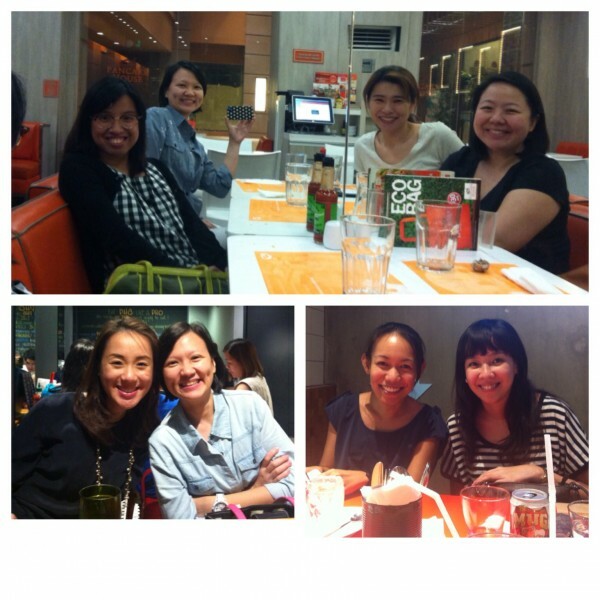 We started the month with a massage with Koko, Blanche and Mimi at Footzone which turned into dinner at Pancake House. I think Pancake house was the restaurant of the month, having eaten there again later on. I'm glad I got to have early dinner with Koko before FHM Bikini heaven and I got to see Lou, Chrissy and Macy even if we were missing 2 members of #kaladkarin. best part? I finally got to see Teeff again after her two month trip to the US. Another girl I've missed so much. It's only been the first quarter and yet we've said goodbye to so many awesome people in the office. I feel like I've got phantom limbs where they all used to be. And of course, the month wouldn't be complete if we didn't all match somehow. From the stripes and denim jacket with Yael (that was eery), to talking about wearing pink with Koko for a presentation (not seen), to having Koko match with the boss in green to having everyone in polka dots on a given day, to intentionally matching with Paola just because. 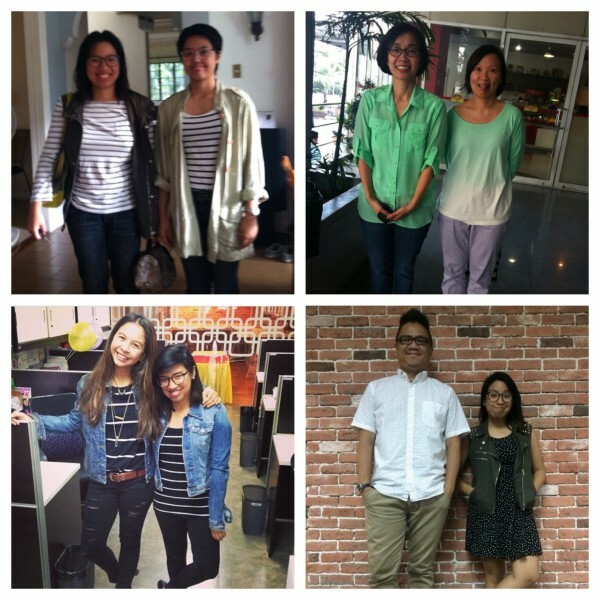 It's always fun to get #ootds when we're all so matchy. Here's to April and the second quarter. I can't believe we've already made it to summer. Turn on your air-conditioning and stay indoors, this is going to be one hot summer -- and not the naked guy type of hot, either. I'm not excited.